Punishment in contemporary China has experienced dramatic shifts over the last seven decades or so. 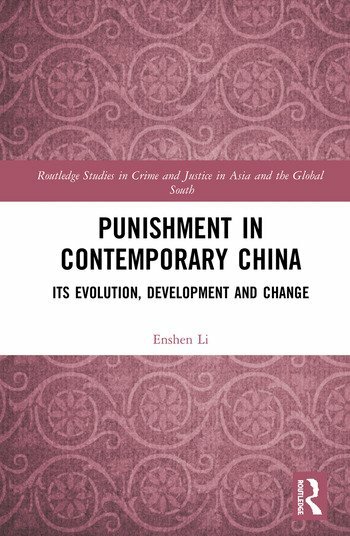 This book focuses on the evolution, development and change of punishment in the Maoist (1949-1977), reform (1978-2001) and post-reform eras (2002-) of China to understand the shaping and transformation of punishment within the context of a range of socio-cultural changes across different historical periods. It aims to fill the gap of existing research by developing a distinctive theoretical framework for the China’s penality, exploring it as a separate and complex legal-social system to observe the impact social foundations, political-economic genesis, cultural significance and meanings have exerted on penal form, discourse and force in contemporary China. It sheds light on the sociology of punishment in this socialist Party-state by investigating law reform, penal policy, social control, crime prevention and sentencing as interconnected elements in the criminal justice and penal system. This book will be of great interest to those who study Chinese criminal law, penal and policing system, as well as to law academics, criminologists and sociologists whose research interests lie in the fields of comparative criminology and criminal justice. Dr Enshen Li is a lecturer at the TC Beirne School of Law, The University of Queensland. His research interests lie in the field of comparative criminal justice, theoretical criminology, socio-legal studies of punishment and society. Dr Enshen Li specializes in the Chinese criminal justice and penal system and their implications for culture and society.